Holiday fun for your family! Two Shows: 2:30 p.m and 4:00 p.m. 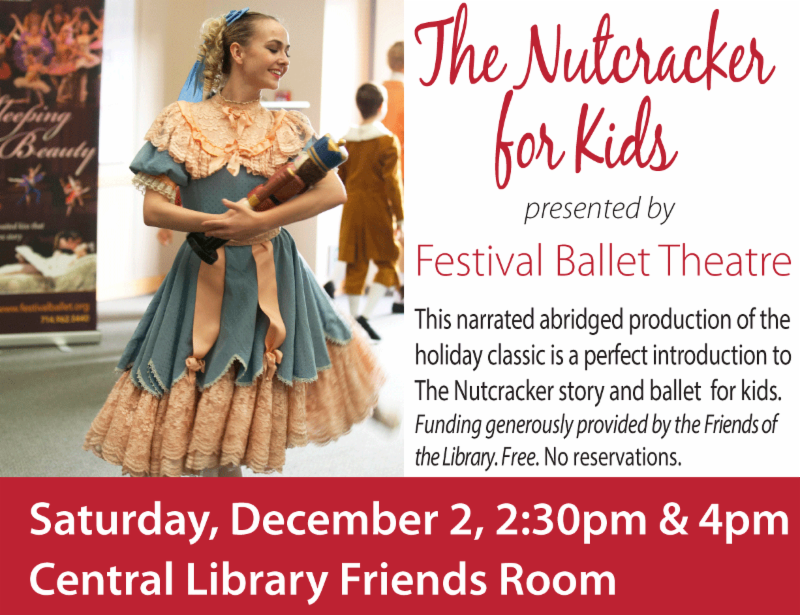 This shortened version of the holiday classic comes alive with Festival Ballet Theatre's beautiful dance performance at the Central Library. The whole family will enjoy the costumes, choreography and music that makes The Nutcracker so memorable. Free admission. Seating is limited. 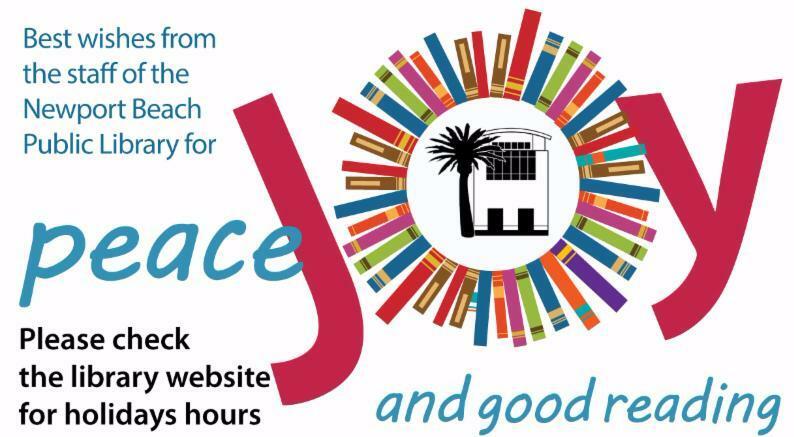 Funded by generous contributions by the Friends of the Library. Sunday, December 3, 11 a.m.- 4 p.m.
Get in the holiday spirit with annual Christmas Walk! Drop by the Corona del Mar Branch Library for some family fun with crafts, magic and refreshments. Free. Sponsored by the Friends of the Library. Tuesday, December 5, 7 p.m. Create the perfect resume using library resources reviewed in this class. Tuesday, December 12, 7 p.m. Learn about YouTube and the vast collection of videos available for your viewing pleasure. 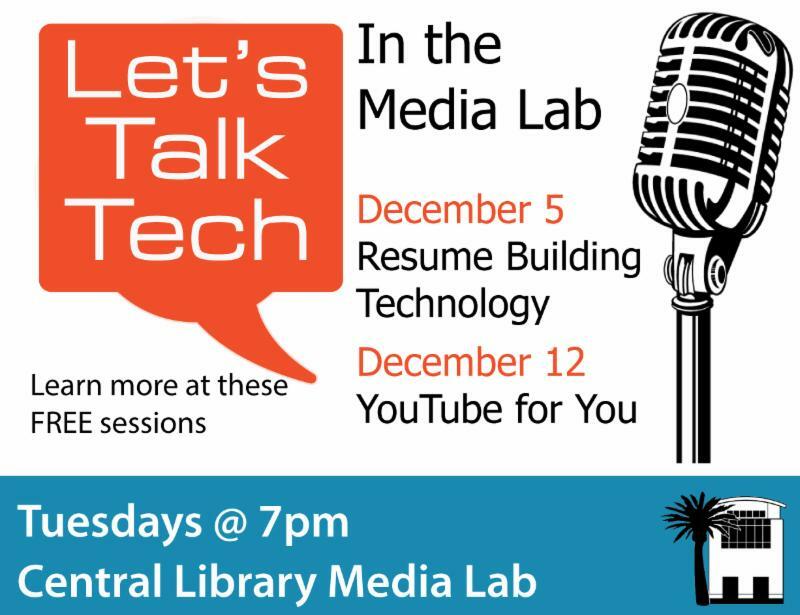 Let's Talk Tech classes are FREE! Pre-registration is recommended but drops-ins are welcome on a space-available basis. Classes are held in the Media Lab at the Central Library. Every business should have a plan. 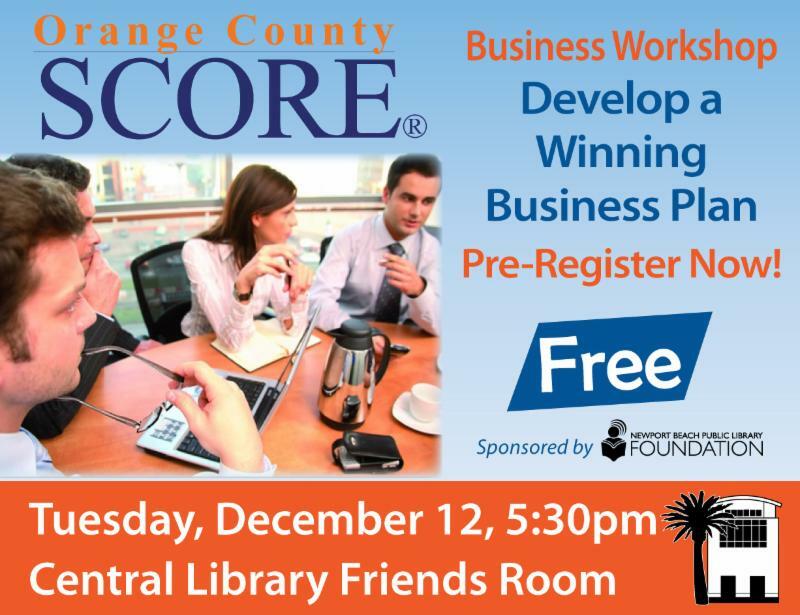 SCORE experts will help prepare a realistic plan that will document your vision, goals and strategy.Find out about forecasting and the three financial statements that are key to your business. Free. Sponsored by the NBPL Foundation. It's the season to have sparkly crafty fun, so head to the Balboa Branch and enjoy making an array of creative crafts. Tuesday, December 19, 4 p.m. Celebrate the season by making some fun Winter Crafts! For children ages 3-8. Children must be accompanied by an adult. No registration required. First come, first served, limited by room capacity. December 26-30 Close at 6 p.m.